Data are facts related to the object in consideration. For example: age, name, height, weight of a men but also pdf, picture, ecc. There are three purpose: storing data; providing an organized structure for data; providing a mechanism for querying, creating, modifying and deleting data. It is not the same of a simple list. What is DMBS? What it can do for us? What type of DBMS are there? There are four type of DBMS: Hierarchial DBMS, Network DBMS, Relational DBMS and Object Oriented DBMS. Network DBMS is a type of DBMS that supports "many to many" relationships (every object shares a lot of information). With this kind of DBMS, we can create a complex database structure. What is a Relational DBMS? Make an example. Give an example of a DBMS type and describe it. 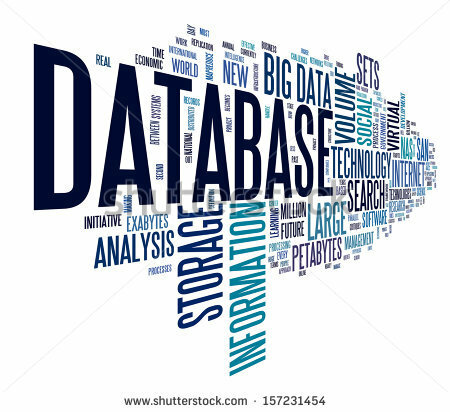 What is the most popular type of DBMS? Make an example of an Application where we use DBMS. An application where we use Database Management Systems is Facebook. In fact, users enter their data, then Facebook process data. Another example, is banking system but also ARGO. Does a database contain only the data that we have put into it? What is metadata? No, it doesn't. In fact a database also contains metadata which describe our data. But it also contain overhead data (tables of data used to improve performances) and application metadata (data values used by the application which rely upon the database. How many kind of data abstraction are there? What are their names? Describe the VIEW LEVEL of abstraction. N.B. : Sia le risposte che le domande possono contenere errori grammaticali! !